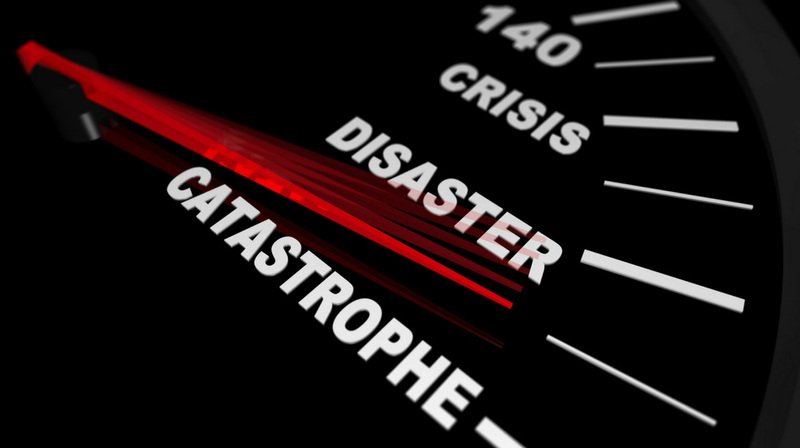 How do you mentally prepare your disaster mindset for dealing with stressful situations? Educate and train yourself ahead of time, so you know what to do. By preparing in advance, you’ll be better able to physical and mentally deal with stressful situations. Have a plan. Better yet, have a family plan. You’ll want to know this because your family may not be together when a disaster strikes. Your home could be destroyed or unsafe to return to. The cell network may be down. Electricity and phone system may not be working. Therefore, you'll need to plan on how you're going to communicate. 911 providers may not be there to support you. They may be victims of the disaster too. Learn basic first aid and similar skills so that you can take care of your family and friends. Grocery stores, gas station, emergency services, etc., may not be functioning. Help from anyone outside of yourself may be slow to come, or non-existent. During a disaster, when you are your family are hungry, who is really to blame? Take responsibility and begin preparing now. Start with planning to be on your own for at least one week. Then, continually, within your budget, increase the amount of time you can be self-reliant. Have an accessible disaster kit ready to go. Keep in mind, if your store your emergency kit in your home, it could be useless if your home is destroyed. Include extra medications. Plan for the needs of the young and elderly. Don’t forget to include the needs of your pets. Did you add extra glasses? 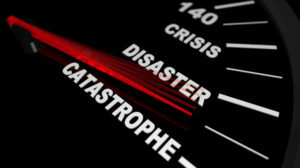 Many disasters such as earthquakes, tornados, etc., strike with little to no warning. So, keep a pair of sturdy shoes near your bed. If you do, you’ll be ready to move should a disaster happen while you’re sleeping. During non-disaster times, when you wake up, train yourself to get your shoes. You do this by touching them, or at least look at them. Over time, this will burn the locations of your shoes in your mind. That way, when an emergency happens, you’ll look to your shoes and most likely not remember them. Know the various social media and internet sites that carry useful disaster information and updates. If the Internet is still accessible, it may prove to be a valuable resource. Talk about the plan with your family. Familiarize them with it. Once they have a basic understanding of the plan, walk them through it. Over time, pick up the pace, so everyone knows what to do during an emergency. Not having light at night when you need it stinks. Make sure you have flashlights and extra batteries for them. Consider rechargeable lights or batteries to ensure you’re ready for the long term. Solar powered lights will work well too. Water is a critical need, especially for longer-term events. Planning to have water accessible and stored where you can get to it is an essential part of your disaster mindset. Don’t forget your bathtub can hold a lot of water. Keep it clean and fill it if you can before the disaster happens. Consider using a WaterBob. If your home is not safe, where are you going to stay? Consider friends and family who may be outside the disaster zone. Perhaps have a storage unit located in another that you pre-stock with emergency supplies. Red Cross shelters may be usable if you have no other options. Don’t forget, when a disaster happens, hotels fill up. Not only do they fill up with other people impacted by the catastrophe, but they often price gouge. As recent disasters have shown, disasters can bring out the worst in people. Some knuckleheads use disasters as an excuse to loot, steal and rob. If you are told to leave, do so. Hurricane Katrina and Harvey show that staying in place to weather a disaster often leads to tragedy. If you prepare in advance, evacuating should be nothing more than an inconvenience. Not everyone deals with stressful situations in the same way. Keep an eye your family. They should keep an eye on you. If you see someone having issues, help them out in a kind and gentle manner. If you have any other thoughts or questions about the disaster mindset, please leave a comment below. Greatly value your podcast, Brian. You bring on folks, like yourself , who have the chops AND know how to communicate to an audience. You mentioned a gentleman named Pete who had a list of H2O filters on his website that I would like to review. Wow! I appreciate the excellent comments. The gentleman I mentioned is Pete Orndorff. He’s a great guy and hopefully a future guest on the podcast. Both his Facebook page and Group go by the title of “21st Century Prepper’s”. The post you’re asking about is from August 13 and is currently the third post down on his page 21st Century Prepper’s Page. His 21st Century Prepper’s Facebook Group is also a great resource. I hope you enjoy. Shoot me a message on Facebook and let me know what you think.